THE BAND IS BACK TOGETHER AGAIN! Join Shawn Michaels, Kevin Nash, Scott Hall, X-Pac and Triple H as they reunite The KLIQ, the most notorious backstage group in all of sports entertainment. Get an inside look into their formation, the infamous "Curtain Call" incident, and how The KLIQ divided and conquered to single-handedly change the face of both WWE and WCW during The Monday Night War. 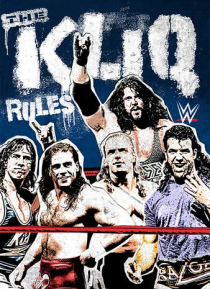 Get all … the stories, the backstage antics, all the controversy and find out why THE KLIQ RULES!